Head of Department of Mathematic, Faculty of Mathematic and Nature Science, Bogor Agricultural University (IPB) Indonesia. 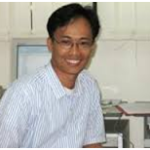 Iman Sugema, Ph.D., Department of Economics, Bogor Agricultural University, Kampus IPB Dramaga, Bogor 16680, Email: imansipb@yahoo.com, Phone: +62-251-8377662/8377896. 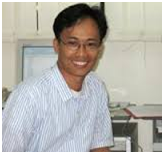 Dr. Suhartono, Department of Statistics, 10 Nopember Institute of Technology Surabaya, Kampus ITS Sukolilo, Surabaya 60111, Emails: gmsuhartono@gmail.com, suhartono@statistika.its.ac.id, Phone: +62-31-594 3352. Anwar Sanusi, MPA, Ph.D., National Institute of Public Administration, Jl. Veteran No. 10 Jakarta 10110, Email: anwaru@rocketmail.com, Phone: +62-21-3848217.